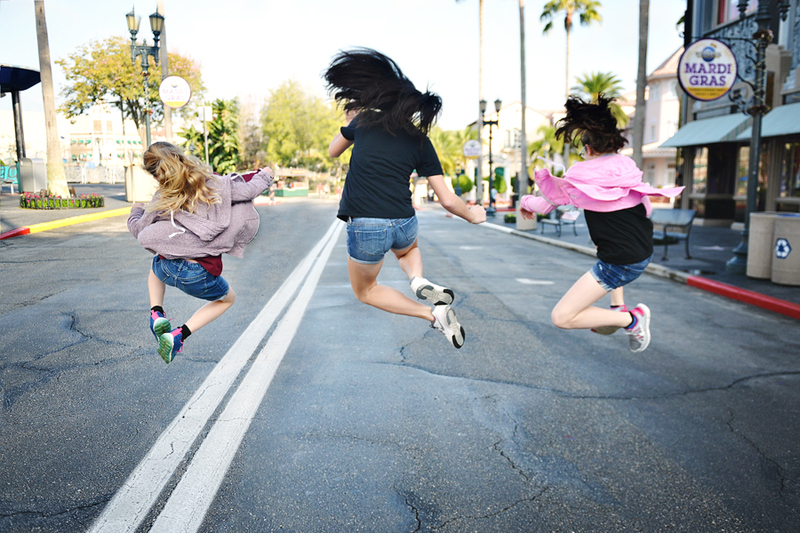 We "may" have needed a vacation from our vacation after the roller coaster ride of the year in our trip to Florida. 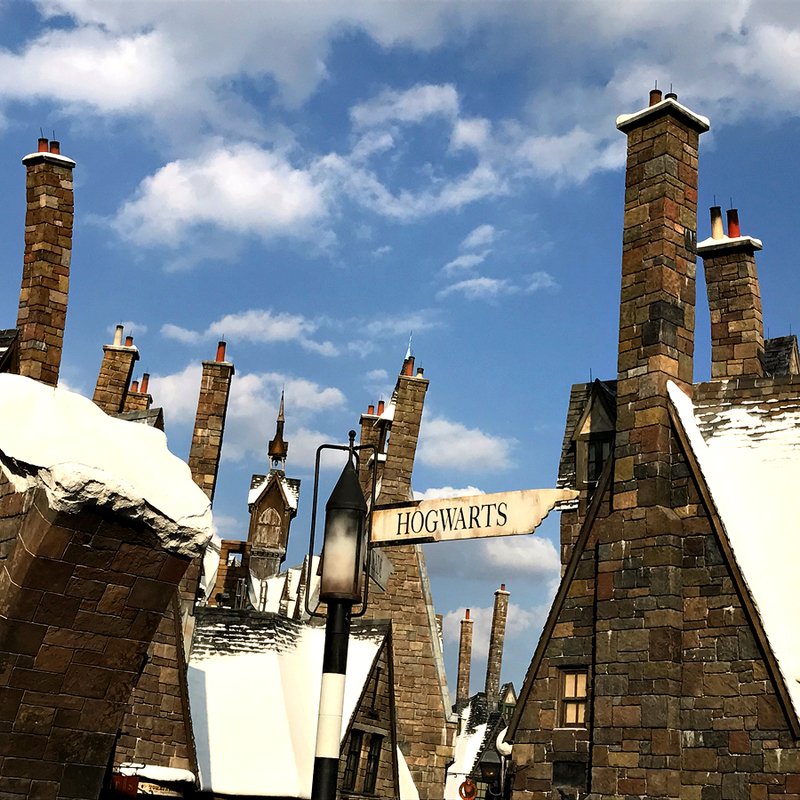 Therefore, this year, we settled on a last hurrah to Disney and also included Universal Studios for our massive Harry Potter fans (myself included). 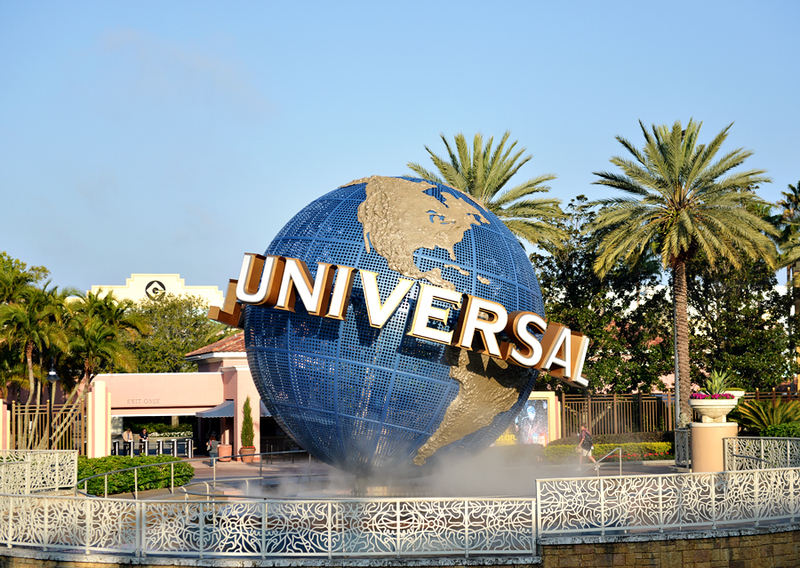 I'm going to highlight our Universal Trip first because that is where the "magic" truly happened and then it continued the remainder of the week...(you'll see what I mean in a moment) AND I'll have some TIPS at the end of the post that will be helpful if you are planning a trip in the near future! 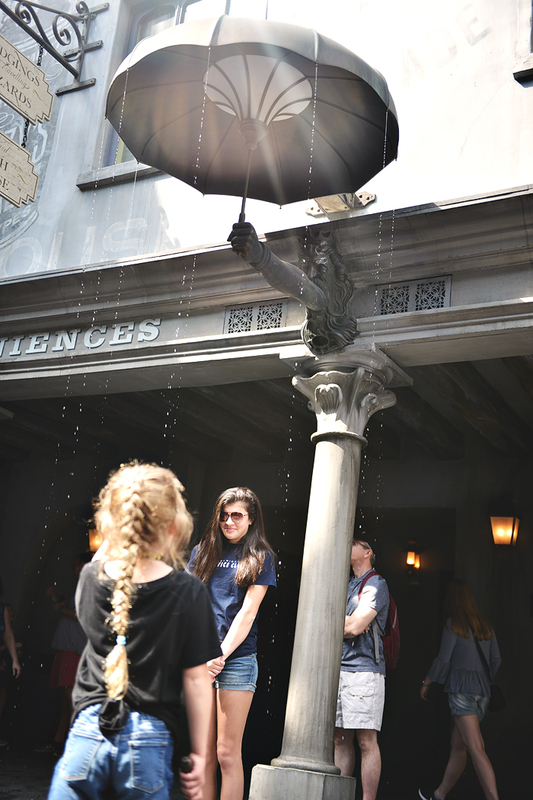 We ran for Gringotts first because the lines tend to be long...it was a REALLY cool ride...a mix of 3D movie and "real life" so that you felt like you were IN the movies! It was definitely a favorite! 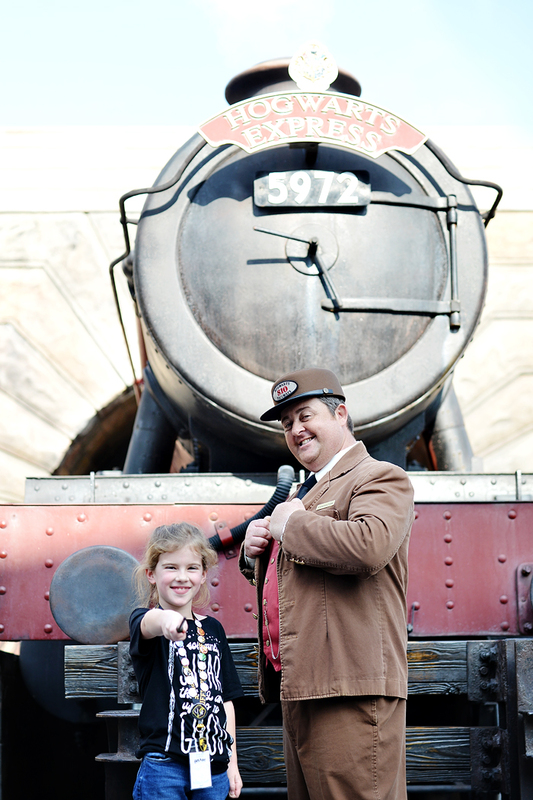 You need to know that our youngest daughter was super happy for E, but soooo wanted to be chosen too...THIS is where UNbelievable thing #2 happened...Let me sum it up the best that I can...A knew a person from work, who has a cousin that works at Universal, in Diagon Alley...he actually contacted A about 2 weeks prior, got us free tickets into the park as an extra AND told us to find him. We didn't tell the girls any of this and we had no idea what he looked like, we just knew the sound of his voice from the phone call. After our 2nd time through the wand ceremony presentation, and our youngest was not chosen, they were leading everyone out and A stopped at the exit and asked him if he was the cousin. At that moment, he said, "SHUT THE DOORS! 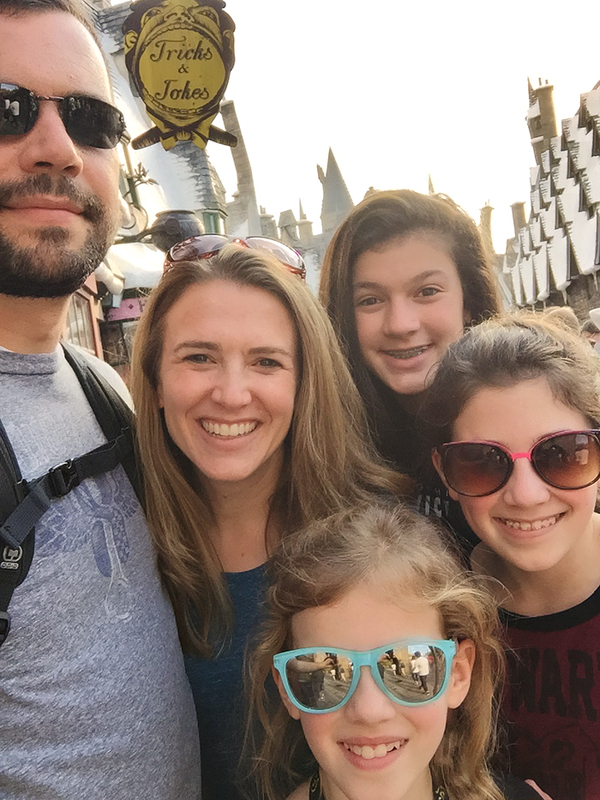 "...everyone left but our family and he went through a private wand ceremony just for our C!!! Talk about MAGICAL!!! 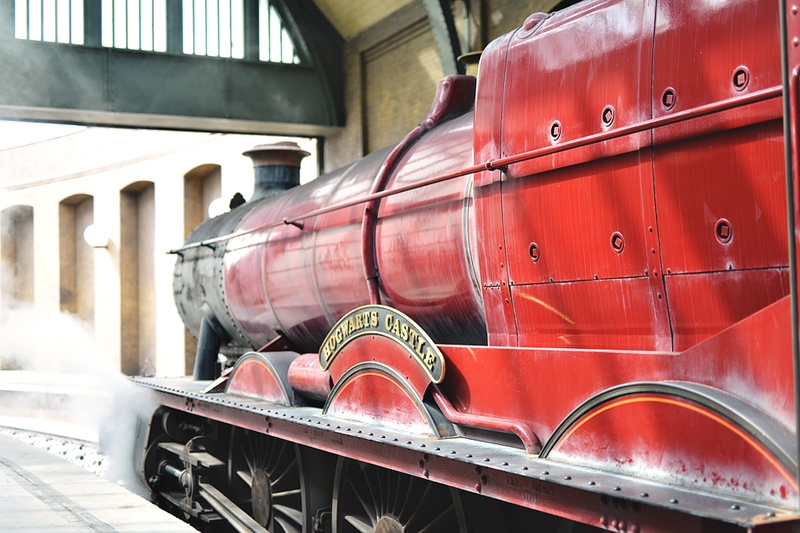 In order to go from Diagon Alley to Hogsmeade you must take the Hogwarts Express Train...This was an event in and of itself!!! 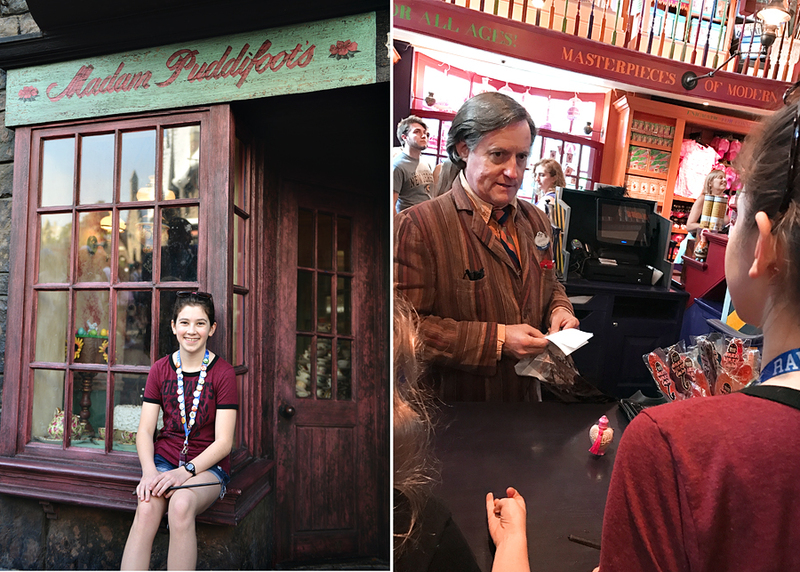 E had a special request to be there at Madam Puddifoots on the 14th of February because that's where Harry and Cho were in the book on that day...she bought a love potion to commemorate the event! 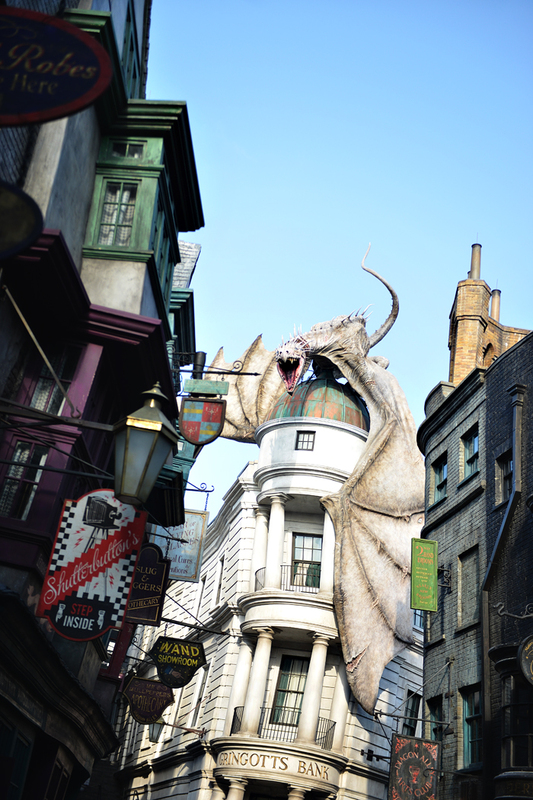 *Understand that Diagon Alley is in the Universal Studios park and Hogsmeade (along with the school of Hogwarts) is in the Islands of Adventure park. 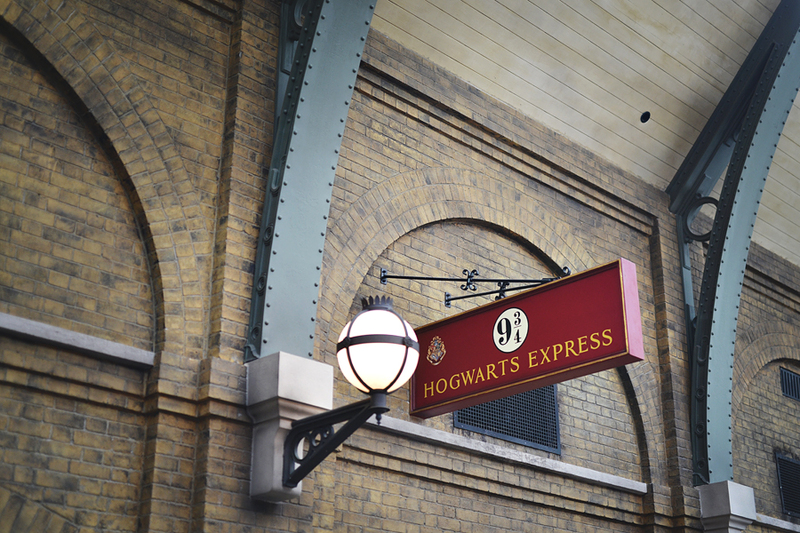 The Hogwarts Train connects the two partks. 1. Be sure to get the Park Hopper, as that is the only way you can ride the train between the two parks and it's a different "ride" going each way. 2. 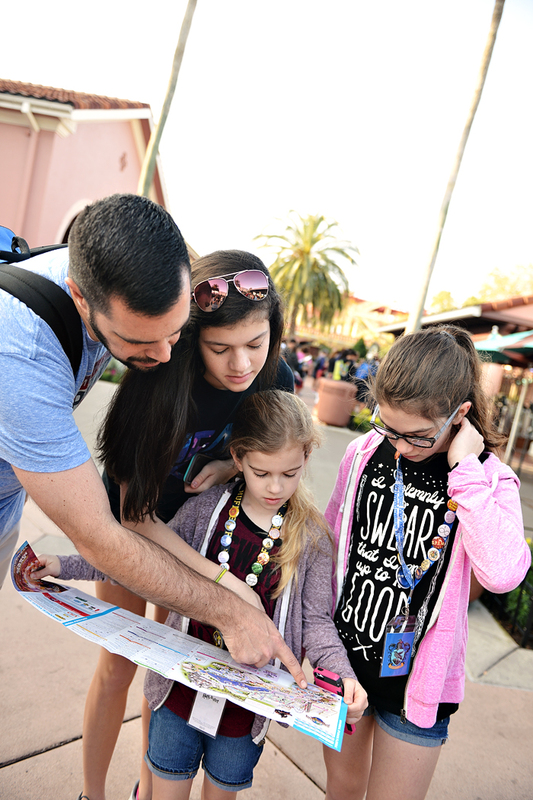 Be sure to get the Touring Guides app on your phone so that you can determine the amount of time each ride states for line waiting, before you actually get to the ride. 3. They will let you in early past the ticket process and then "hold" you at a point further up into the park. Therefore it's worth it to get there 20-30 minutes early. 4. 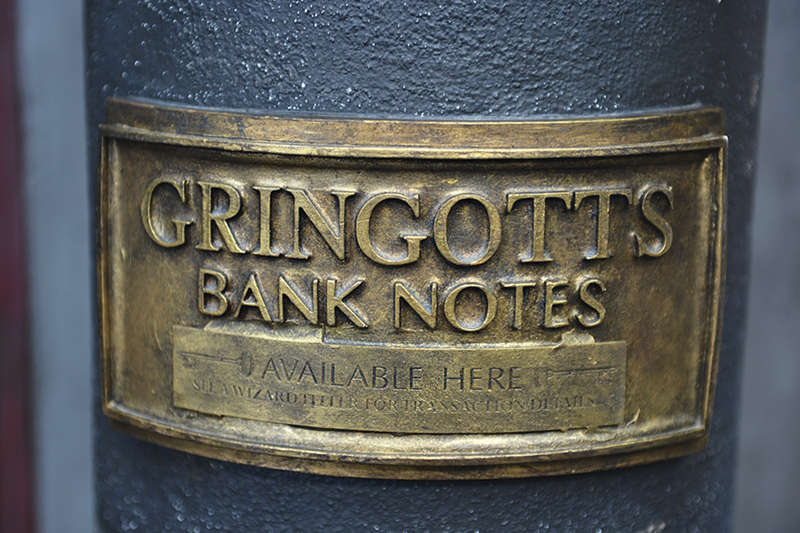 Gringotts (Diagon Alley) and Hippogriff (Hogsmeade) have the longest wait times as the day progresses. 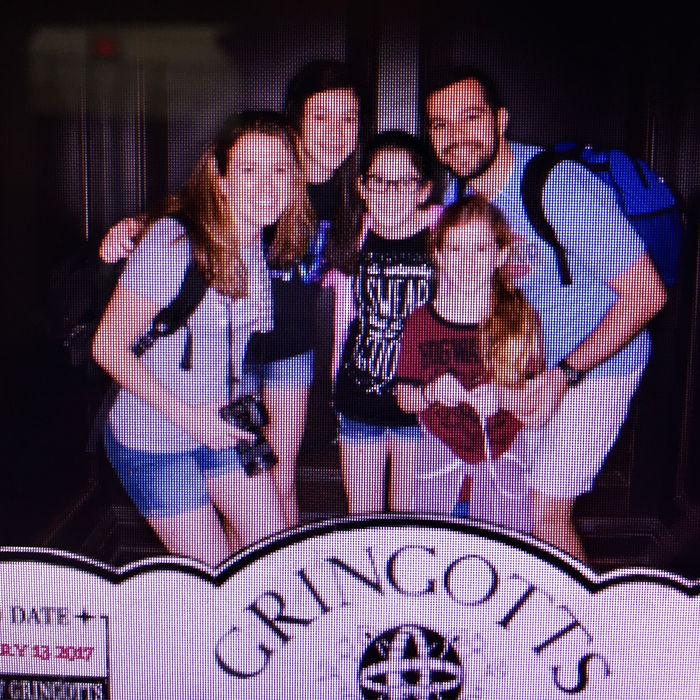 Since we spent 2 days at the parks, We rushed to Gringotts on the first day and were able to ride twice before the line went up to a 70 minute wait. 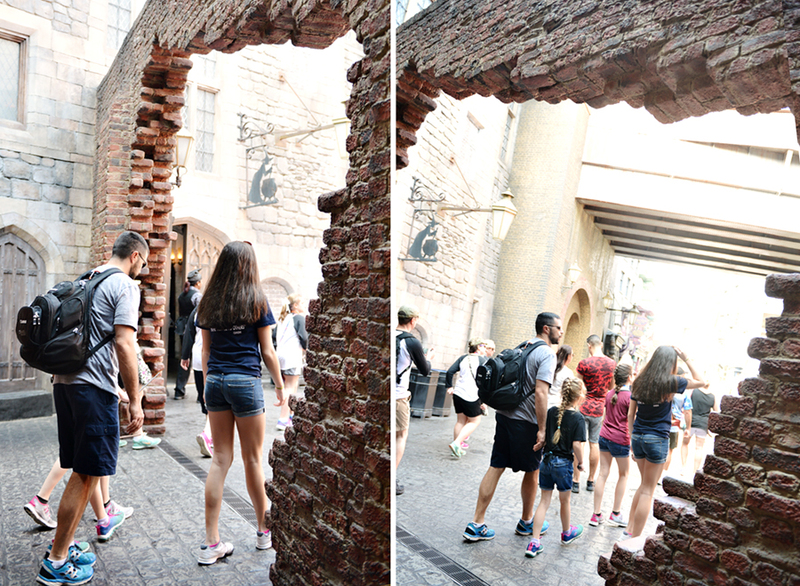 (we walked right on the first time and then waited about 10 minutes when we got in line again). 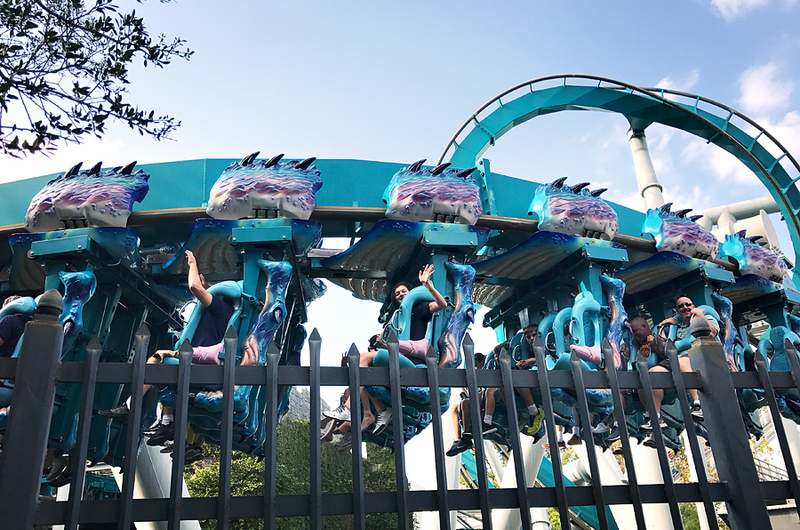 Same thing with Hippogriff the 2nd day. 5. Gilly water is JUST water...so unless you'd like to spend $6 on a bottle, I'd suggest skipping it. 6. Butterbeer tastes best in the frozen/slushie state rather than straight up liquid..it's SUPER sweet, so be prepared. 7. Pumpkin juice is basically pureed pumpkin pie...so if you like that, go for it, it's a cute bottle, but WHOA we couldn't stomach it. 8. 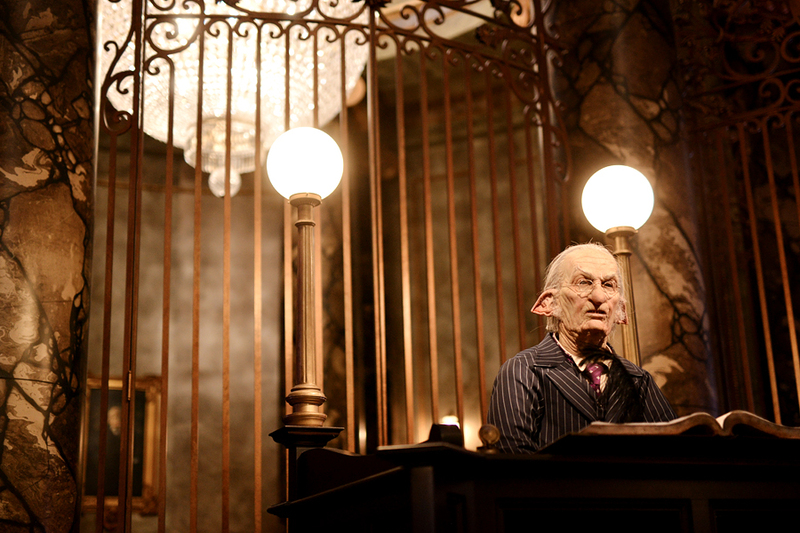 The Ollivander wand show is about 7 minutes long and runs continuously, although only one person is chosen for the wand ceremony. 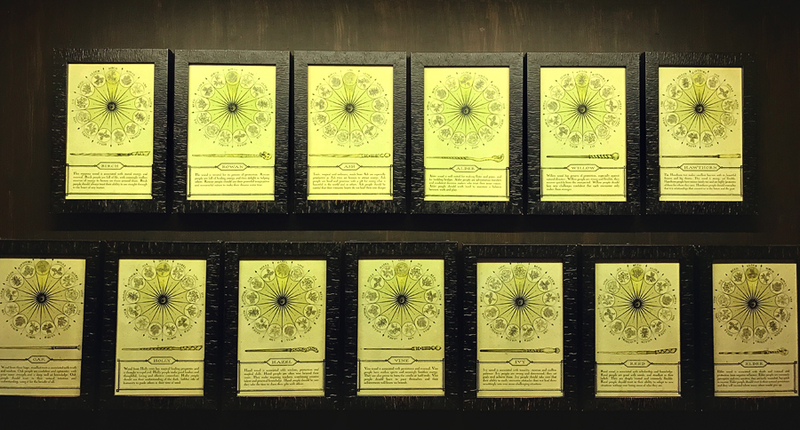 IF you get chosen, it's magical, in that "Ollivander" goes through the whole thing like he did in the book & movie with Harry...However, if you DON'T get chosen, there are wizards in the shop that will direct you to all sorts of types of wands to choose from based on personality OR zodiac. 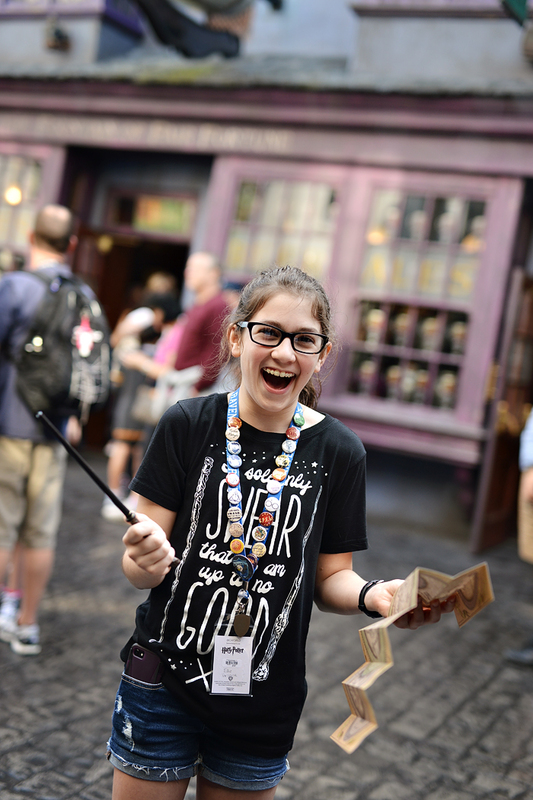 Wands are $50 and will make things "magically" happen all throughout the HP areas of the parks. 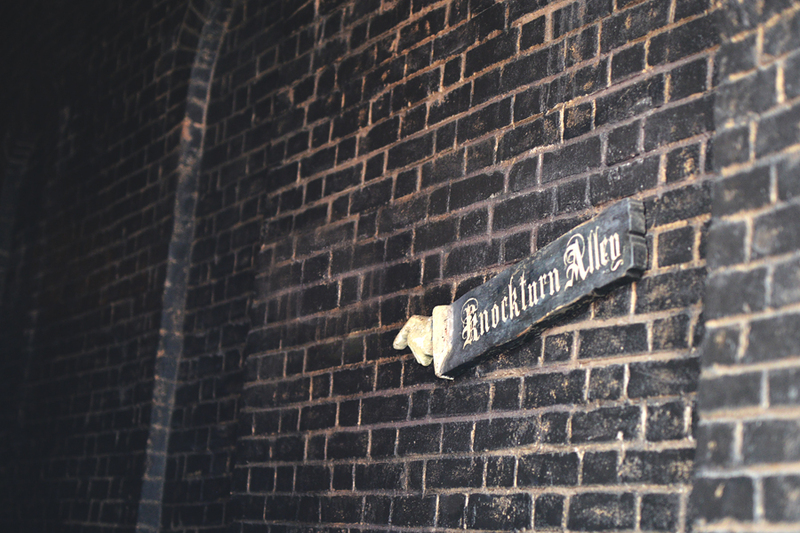 We went through the Ollivander line twice...and you can go as many times as you'd like to try to be chosen. ONE is at the Scribbullus shop in the window to the RIGHT of the door. 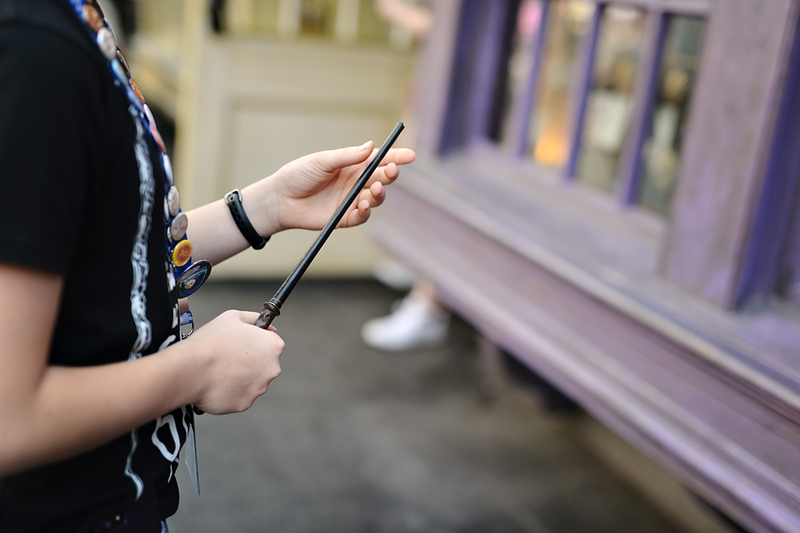 The spell is to make a W with your wand (make it only about the size of your hand). The SECOND one is across the street from Ollivanders at Diagon Alley in the window and the spell is to make a triangle while facing the window. 10. 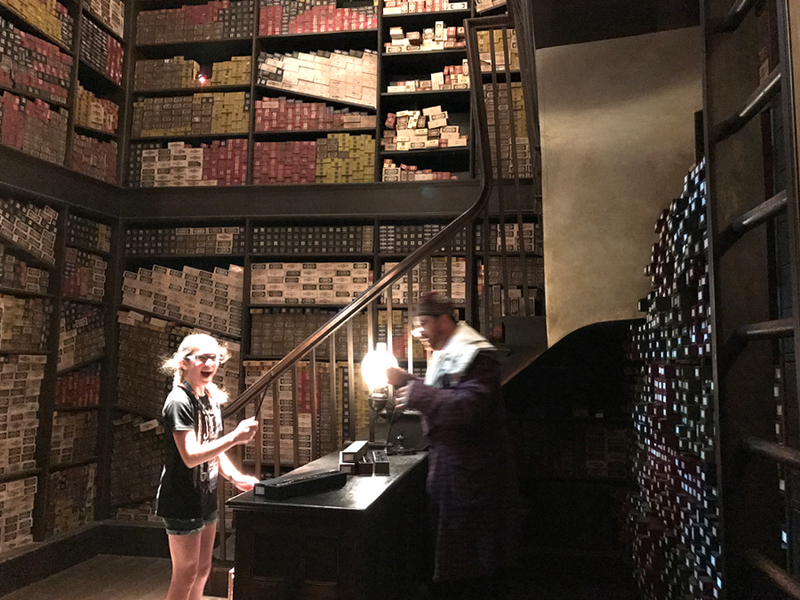 Most places in the Harry Potter worlds are super dark, so taking pictures is difficult unless you have an external flash. 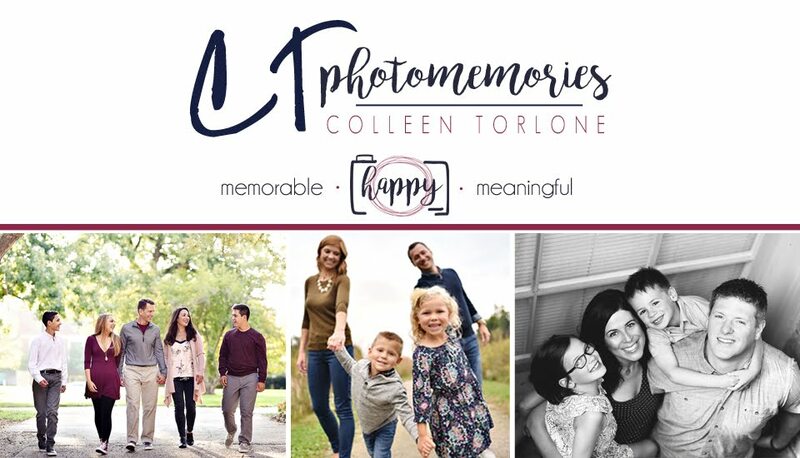 A pop up flash will just illuminate your person and everything else will be dark so then the setting gets lost. I used my phone a lot to take pictures because of the ease and even though some pics were fuzzy/pixelated, I at least got the "emotion" of the event. 12. You can't take ANYTHING on any rides in Universal or Islands...they make you use lockers which you then lose your place in line UNLESS you rent a locker early on OR you take turns, like we did, and either A or I would be a "walk through" person in the line as the rest of our party went on the ride and we waited (then we rode again and switched places). 13. 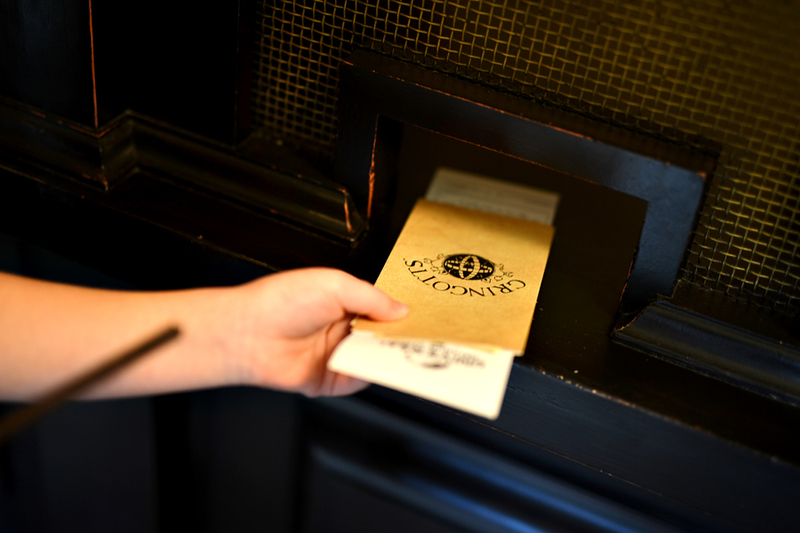 You may not take any food or drink into the Ollivander wand ceremony so do NOT get your butterbeer or pumpkin juice before you head there...do it after. 14. Gringotts & Forbidden Journey (hogwarts ride) are really unique rides with 3D aspects to them and incredible technology. Forbidden Journey, for some, can have some nausea effects because of the movement & screen (think Soarin from Epcot, but more intense and somewhat like the Star Tours at Hollywood Studios) Hippogriff is basically Magic Kingdom's Barnstormer but add on 10 seconds...it's quick, so get there when the lines aren't long. I am soooo glad you had such a fun memorable vacation!! It sounds like it was just perfect for you guys. 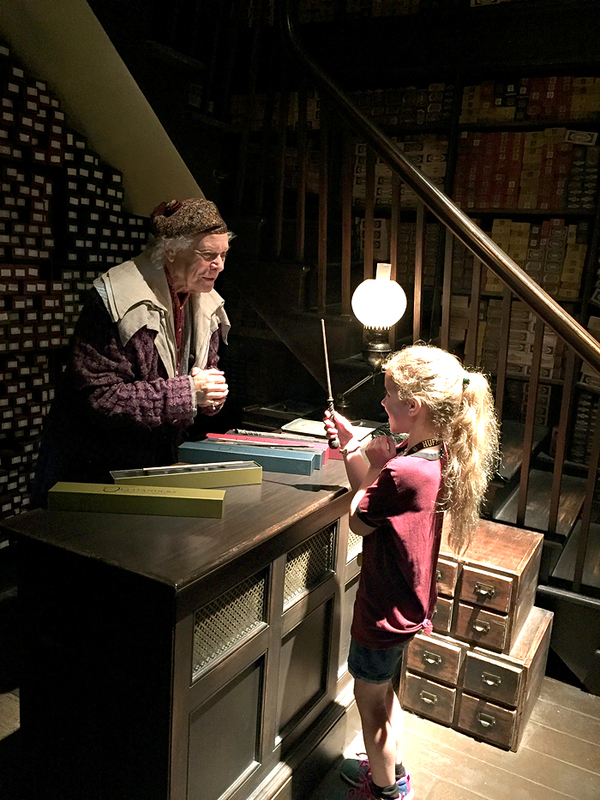 I can only imagine Ellie and Claire when they got the wands!! !